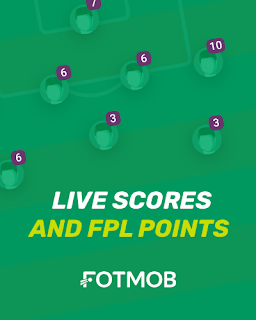 If you’d like to get involved this week by challenging us, simply create your lineups for Gameweek 38 today via the FREE Apple app. Sunday not only brings us the end of the Premier League season, but also the final game of Arsene Wenger’s managerial career at Arsenal – surely the Gunners are going to provide the perfect send off? Aubameyang has scored nine goals since his January move, three of which have come during his last two games. He is the striker on form and goes straight into my Starting 11 lineup this weekend. Who will start upfront for Chelsea? Morata and Giroud continue to be rotated, however given that Morata started on Wednesday night – I reckon Giroud will get the nod on Sunday. The Frenchman has scored three goals during his last five games, despite only starting three of them. Newcastle are already easing into their summer break which is evident from their recent poor performances, I expect Chelsea to take advantage. Chelsea have to win this weekend and hope Liverpool slip up, otherwise there will be no Champions' League football at Stamford Bridge next season. It’s been a quiet season by Hazard’s high standards. However with a win required it’s the likes of Hazard who need to step up and create some magic. As I said, Newcastle are poor of late – if they give Hazard too much time and space he will most certainly punish them. Making his final appearance in a Crystal Palace shirt before returning to Chelsea, overall it might not have been the season Loftus-Cheek was expecting, although we have seen glimpses of his class. Crystal Palace are one of the form teams in the league at the moment, undefeated during their last five games including the 5-0 win over Leicester. It’s no surprise that the recent upturn in form leading to Palace’s survival has come hand in hand with the performances of Loftus-Cheek as well as Zaha – 'RLC' has scored a goal and recorded an assist during his last two games. Jones spent the early part of the season as Manchester United’s first choice centre back and formed a brilliant partnership with Eric Bailly – injury caused the England international to lose his place. With 2nd place now secured, Mourinho has announced he is ready to shuffle the pack on Sunday – which may include resting Smalling. He only went and scored again, finally showing us the kind of returns I expected from the Dutchman from Gameweek 1 – Crystal Palace’s version of Marcus Alonso? With two clean sheets and two goals from his last three games – PVA is not only a player who will make my Starting 11 this weekend, but a player I will be monitoring in preseason ahead of the 2018/19 season. This man wouldn’t normally be a safe pick but after Mourinho’s comments post match on Thursday night – he made it clear than De Gea would be rested on Sunday and that Romero would start the final league game of the season. De Gea’s clean sheet vs West Ham made it 18 for the season and confirmed the Spaniard as this season’s Golden Glove winner – Romero will be wanting to show that he can keep Watford out as well as Big Dave could! I think a home fixture vs Watford warrants a Manchester United defensive stack this weekend. Nick Pope has been a regular differential this season since taking over from Heaton in the Burnley goal. I couldn’t complete my final preview of the season without him. I know the clean sheets have dried up lately but after they shut Brighton out I have hope that they can end the season with one final parking of the bus. Their opponents Bournemouth have only scored two goals in their last four games, another side who have lost some drive since securing their Premier League status. Fantasy Premier League managers everywhere are strapping in for the wild ride that is Gameweek 38 - especially those for whom disaster struck last Friday. Despite the warnings, last Friday’s transfer deadline caught many managers by surprise, as the all-important chips they had spent weeks planning to use fell by the wayside. Ironically, most FPL managers who failed to deploy their Triple Captain chip probably ended up dodging a bullet. 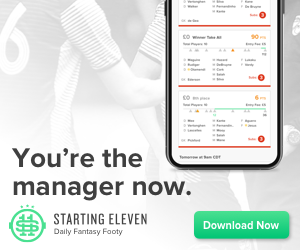 Over three-quarters of active managers put the armband on one of Kane, Salah, Sterling or Jesus, with only the Spurs man managing to emerge with modest attacking returns. Thankfully for them, Gameweek 38 has a long tradition of producing some unexpected results, and this season should be no different. If you’d like to get involved this week by challenging us, simply create your lineups for Gameweek 37 today via the FREE Apple app. Finally, a run of starts for the young Brazilian who’s injury free and without competition from the injured Aguero – Jesus has now scored three goals in his last three games. With the title winning celebrations planned after the final whistle, I expect Manchester City to put on a show for their fans – poor Huddersfield. This has the potential to be one of their biggest wins of the season. This man’s name has been thrown around a lot over on FPL, mainly due to his tempting price as well as a double Gameweek – but does he also have a place in our Starting 11 sides? I think he does. Prior to his last two difficult fixtures (Chelsea and Manchester City) he found the back of the net against Everton. With Bournemouth up next he could be on target once again. Bournemouth have conceded eleven goals during their last five games and have nothing to play for – Swansea on the other hand are fighting for their Premier League survival. Having scored four goals (Ok three when you take into account the one Harry Kane 'stole'!) as well as an assist during his last five games, Eriksen is continuing to provide returns despite Spurs not playing to the level we have come to expect. It’s the same old debate, Alli v Eriksen – For me Eriksen probably edges it by a smidgen due to his set piece involvement and creative play. West Brom, despite their upturn in form since the departure of Pardew, are still bottom of the table for a reason – I expect Spurs to be too much for them this weekend. Zaha and Crystal Palace are on fire, I was blown away by their performance last weekend which was a joy to watch even before Leicester went down to ten men. A brilliant team performance as well as a brilliant individual performance from Zaha, who has four goals and one assist in only four games – not bad for a side who failed to score a goal during the first seven games of the season. Are Stoke getting out of the relegation zone? If they do it won’t be due to their defence – the 65 goals they have conceded is the second worst after West Ham. What a frustrating fantasy football player he has been this season through no fault of his own. If it wasn’t for Danny Rose I think Ben Davies would have been a safe pick most weeks this season. Despite his shared game time, Davies has provided seven assists this season putting him joint top for a defender – not to mention his eleven clean sheets. West Brom aren’t going to cause too many problems for a Spurs clean sheet this weekend and I am expecting Davies to be pressing forward in the search for more attacking returns. The FPL legend showed us there is still life in the old dog. A clean sheet as well as an assist made Baines one of the star fantasy footballer players of last weekend. Of course the main reason we select a defender is for his clean sheets, which Baines has helped provide three of in only four games. Everton have turned a corner, they look solid and I see no reason why they can’t keep yet another clean sheet this weekend against Southampton. I’m expecting a full strength Manchester City side this weekend as Pep Guardiola attempts to break records and start the Premier League trophy presentation celebration in style. This Manchester City side, who apparently can’t defend, have kept fifteen clean sheets this season and have the best defensive record in the league. Up against a Huddersfield side with the weakest attacking record in the league – this is a fixture with clean sheet written all over it. It’s not only been Crystal Palace’s attacking football that’s catching the eye. At the other end of the pitch Wayne Hennessey has kept two clean sheets during his last two games. Their opponents Stoke City have only managed to find the back of the net three times during their last five games – without a win since January it seems relegation is inevitable. Crystal Palace may not have a double Gameweek on FPL, but they should feature heavily in your Starting 11 line-ups this weekend as one of the current form sides in the league.